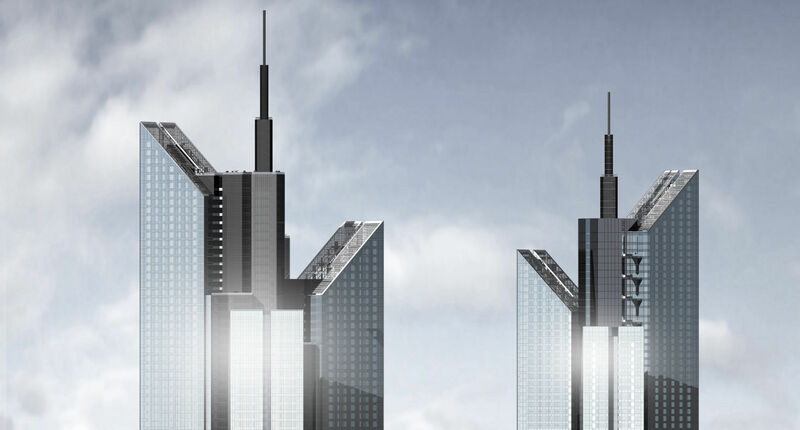 The project comprises of twin towers, one residential and the other an office tower. There are seven levels of car parks and service facilities and a landscape concourse level with retail and leisure facilities. The development which spreads over an area of 28,825 square meters is designed to complete the developments along Sheikh Zayed Road. This prestigious project has been conceived and designed by the world renowned Hopkins Architects of UK.